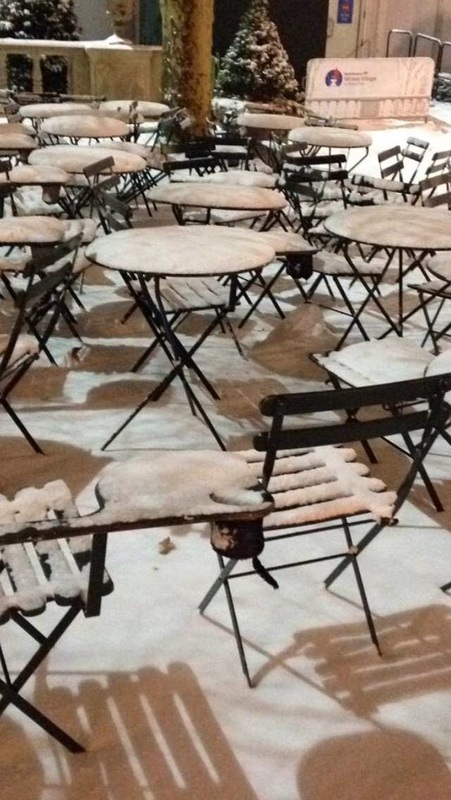 Last night, winter storm Juno dumped several inches of snow on our fair city. Here are some photos from the evening and early this morning. 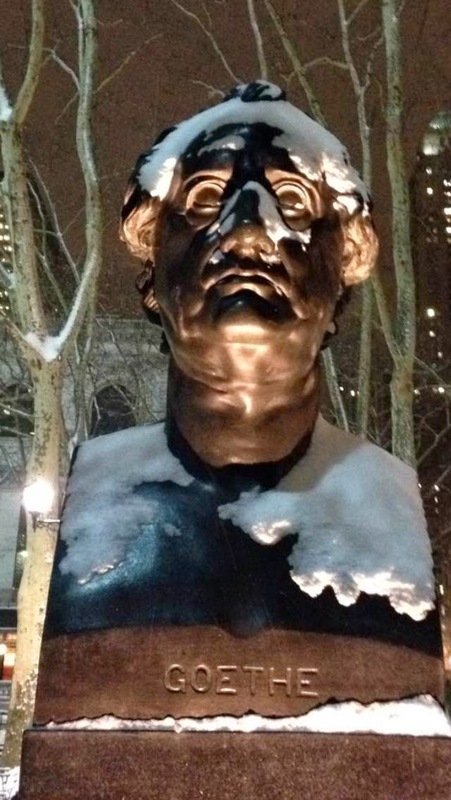 The Goethe statue and chairs hunker down for the evening's snowfall. You won't have a hard time finding an open table at lunch today. 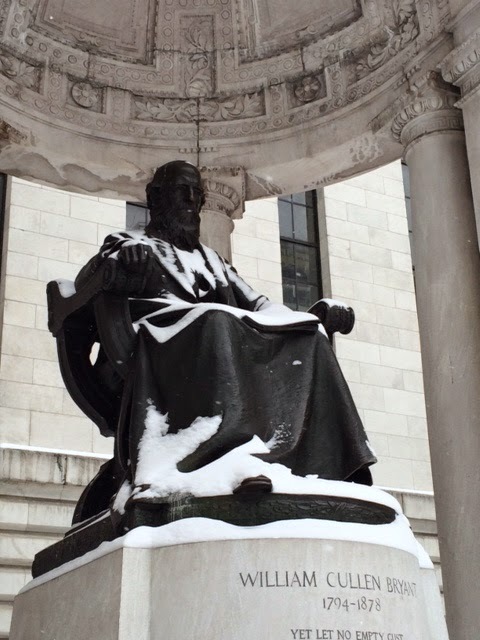 William Cullen Bryant watches over the quiet park from his seat on the Upper Terrace. 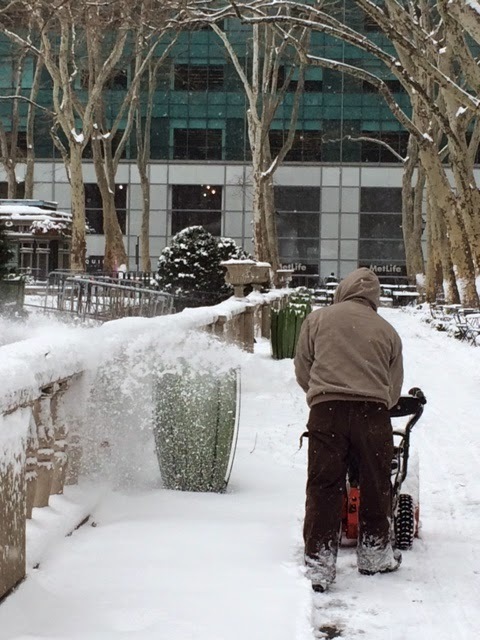 Our Sanitation and Hospitality crews have been working around the clock to reopen the park as soon as possible. 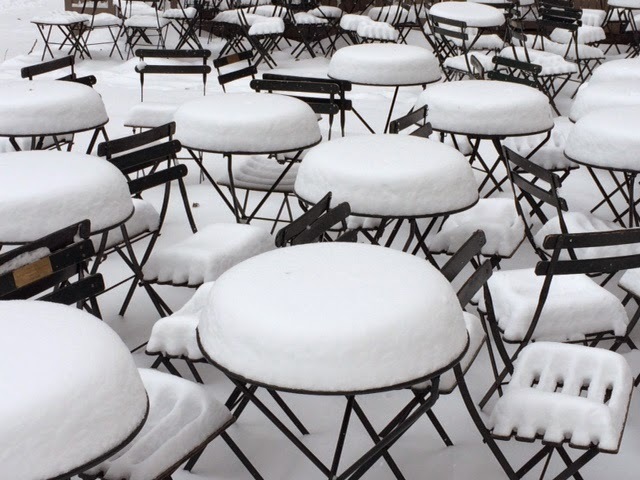 There's nothing like a pristine snowfall to add a layer of magic to our iconic Bryant Park bistro chairs.